Behind a rambling brown-shingled house in Boulder, Colorado, a thick hedge of Norwegian pines nearly conceals a sixteen-by-sixteen-foot work shed. Half of the space is furnished with a cot, a plain wooden table, an electric skillet, a washbasin, and a portable toilet. On the other side of a makeshift partition is a workbench, a stool, a lathe, some rough-cut logs, and a large pile of wood shavings. A young artist bends over the lathe. The year is 1977; the artist, David Ellsworth. For more than three years he has been supporting himself by making wooden salt and pepper shakers. He has turned out nearly five thousand sets, manufacturing fifty at a time. This work occupies him from sunrise to late afternoon. Each evening, however, he stops, carefully places a plastic sheet over the salt and pepper sets, and then takes up a curved tool and experiments with a new artform, creating wooden pots on his lathe. One afternoon he receives a check in the mail. To his surprise, his pots have started to sell. David Ellsworth is one of the thousands of artists, writers, and musicians who in recent years have been struggling to express their understandings and experiences of the sacred in their work, and who in turn are creating new ways of thinking about and practicing spirituality. Some have been working quietly within religious traditions, keeping alive the skills of iconography, creating Christian music, or depicting themes rooted in Jewish experience. Others are pushing the edges of religious traditions by asking questions about language and representation, incorporating narratives of brokenness and redemption into their work, and confronting the ambiguities of teachings about God. It is through their life stories as much as through the objects they produce that artists' insights about the life of the spirit come into view. Their position in society, as has often been true in the past, is not enviable. Although a few make fortunes, most earn only marginal incomes. Many have been drawn to artistic careers by personal trauma or by extreme disruptions in their families and communities. Such experiences necessitate personal reflection and often result in new perspectives on life. As with most artists, David Ellsworth's life story illustrates the gifts of critical self-reflection that seem so often to connect artists' creative work with their interest in spirituality. His lanky, angular features contrast sharply with the rounded shapes that emerge from his lathe. Seated in the loft of his present-day studio in northeastern Pennsylvania, he chooses his words carefully: "I think of myself fundamentally as a maker, more than an artist or a craftsman. I turn wood on the lathe--vessels, bowls, pots. The objects that I make are hollow forms, very thin-walled, levitative, somewhat mysterious in their construction." This emphasis on mystery occurs repeatedly in artists' accounts of their work. It arises from a principled refusal to explain their work and thus to restrict the variety of meanings it may have for different audiences. But mystery is also one of the ways in which artists emphasize the impossibility of fully understanding God. From the beginning, Ellsworth's art has been closely connected to his deeply personal sense of the spiritual aspects of life. His pots are neither traditional shapes nor free-form. He denies that they have any utilitarian value. Indeed, they cannot easily be defined. This is the essence that he is most intent on expressing. "Without a definition," he explains, "we're left with wonderment and in some cases with a sense of loss. When we do not have a language about an object, we reveal ourselves very quickly in our emotional response to that object. It was that emotional response as an artist, as a creative person, that I was most interested in." There is often a close connection between an emphasis like this in artistic work and the way in which an artist thinks about the meaning of life. During those long formative months in Colorado, Ellsworth gradually realized how much his own life was without definition. Although the daily routine provided him with structure, it did not give meaning to his existence. Well educated in the fine arts but unable to find steady employment, he had recently divorced and was largely without friends, alienated. The divorce was particularly painful. "I began to question everything," he recalls. "I was disappointed in myself. I distrusted myself and I distrusted other people." Working creatively with wood provided a way to express his deep emotion. Being without definition is the key to Ellsworth's understanding of spirituality: "I believe in God, in a higher order that is above the human species. We are not at the top of the chain. There's something bigger than us. But it cannot be defined. If we could quantify it, identify it, catalog it, it would lose its value. It would cease to be what it is." His sense of what it means to be spiritual is so encompassing that he has difficulty describing its exact place in his life: "I'm not certain I can spell it out. I don't get up in the morning and say, 'Well, how spiritual can I be today?' When I am done making an object, I give myself as much time as I possibly can in order to understand the spiritual connection between me and it. Why did it come out? Where has it come from? Where is it going to lead? What influence is it going to have? And if I don't like it, can I feel free to smash it and get it out of my life and experience the smashing so I can go on?" After a moment he adds, "Spirituality is my work. The two are inseparable. When I'm doing it, I'm not thinking about it. There is a connectedness with it that is immediate and direct. I'm like a pianist. I'm not concerned about the technique as I perform. So working at the lathe is similar. It is an avenue through which spirituality can express itself." If there is a single key to artists' perspectives on the spiritual, it is this: spirituality, like art, must be practiced to be perfected. The way of the artist involves doing, rather than only believing in the possibility of doing. It requires training, discipline, and a considerable investment of oneself. As a child, David Ellsworth was not reared to believe firmly in the teachings of any single religious tradition. His parents were academics who put in nominal appearances at an Episcopal church but gradually found its services less compelling than their own explorations. His ideas about spirituality took form through college classes in comparative religion. For several years Ellsworth read avidly, gaining growing respect for the writers of the Bible and for the words of Jesus, Muhammad, and the Buddha, but he could not bring himself to affiliate with any congregation. He came increasingly to believe that the truths expressed in religious writings point toward something that is mysterious and ineffable. It is this mystery that he tries to evoke in his art. "I have to put things together in my own way, move them backward and forward, mix them around," he indicates. "For some people, there is a meeting of the minds, a gathering together, 'in house' as we say, almost like a church. But I'm the one walking around it in the hills. I'm feeling the energy that's coming out of that house. I'm not disconnected from those people. I don't feel alone. And yet I also don't want to conform to their rhythms and philosophies. I think they feel my presence, too. They know I'm out there." Creative people like David Ellsworth frequently occupy marginal positions in our culture, playing the role of the proverbial lone wolf, the alienated nonconformist, the free spirit. They prefer to do things their own way and sometimes feel genuinely uncomfortable in crowds. Yet they are, as Ellsworth says, a presence in the culture, reacting to it, contributing to its beauty, and enriching the lives of those with whom they come in contact. Ellsworth's exhibited works, not to mention the classes he teaches and the apprentices he mentors, provide lessons about life as well as about art. Like most artists he has been exposed to the teachings of organized religion and has had to search for answers to questions about the meaning and purpose of life. His views about the ineffability of spirituality are widely shared, both among artists and in the public at large. Many Americans would agree that there is something deeply spiritual in what he is trying to express through his art. Art critics and reviewers of fiction, poetry, and music have come increasingly to recognize the spiritual contributions of contemporary artists. Even some religious leaders acknowledge quietly that growing segments of the public look to artists for insights about the deeper puzzles of life. Yet this contribution remains poorly understood. References to spirituality in art and music columns are frustratingly vague. Unelaborated assertions such as "this is a deeply spiritual recording" or "the artist sought to convey a spiritual vision" are not atypical. Other depictions too easily pigeonhole or sensationalize the spiritualities of particular artists: it is possible to read in tabloid newspapers about artists who exemplify strange beliefs in the occult or dabble in esoteric religious practices, but it is harder to gain insight into the lives of people such as David Ellsworth who have long been engaged in serious efforts to deepen and to express their understandings of spirituality. Filtered through the lens of hastily written journalistic reviews, popular images of artists' spirituality are nearly always misleading. One common image emphasizes entertainers who earn high salaries and lead dissolute lives and suggests that there is little of substance beneath the glamour. In this scenario, artists are depicted as lost souls struggling with substance abuse or greedily pursuing hedonistic pleasures, rather than showing any serious interest in the spiritual life. A different image highlights artists' participation in unconventional spiritual practices. In this view, artists are described as more confused, shallow, gullible, or muddle-headed than virtually anyone else. At worst, artists' spirituality is reduced to the commercial exploits of pop-singer Madonna or the cultic followings of the Grateful Dead; at best, it is sentimentalized in stories about esoteric spiritual quests and wild-eyed beliefs. Learning about how contemporary artists practice their spirituality is richly rewarding for anyone interested in the changing ways in which Americans are searching for the sacred. Many artists have struggled deeply with who they are and with questions about what is important in life. Personal trauma or family turmoil have jostled some artists to think hard about pain. David Ellsworth's anguish during the year he was recovering from his divorce is just one example. A folk singer tells of her estranged existence among illegal immigrants when she could not afford to live anywhere else. A wood carver describes how polio imprinted his development. A painter reveals the connection between being abused and learning to express herself through art. As they sing or carve or paint, these artists turn frequently to themes of brokenness and recovery, pain and redemption, personal courage and transcendent healing. Their insights resonate with the struggles many Americans have faced in recent years with disrupted marriages, job loss, or addictions. To a striking degree, contemporary artists speak more comfortably about spirituality than about organized religion. As David Ellsworth says, they are the sojourners who wander in the hills rather than the settlers who live easily in the valley. Spirituality seems more authentic to them because they have had to create their own ways of expressing it, whereas religion connotes the teachings of preachers and priests who may have never seriously questioned the tenets of their faith. In this respect, artists are the outsiders still capable of raising questions silenced by civilization. Living in the hills gives them a critical perspective on the settlement below. Yet, in another respect, artists exemplify an attitude toward the established dogmas of institutional religion that now characterizes many Americans. Research on the religious practices of the larger public shows that spiritual seeking often takes precedence over spiritual dwelling. Seekers borrow ideas from many traditions rather than settling comfortably into any one tradition. The typical seeker picks up the latest bestseller about spirituality, reads today's horoscope, talks to a friend raised in a different tradition, occasionally attends a church or synagogue, and periodically goes to workshops or support groups. [Note 4] Younger Americans are especially likely to fit this profile. The eclectic spiritual practices of some artists are attractive to Americans who experiment with one religious idea after another because they have no compelling reasons to settle into a single tradition. The social circumstances that encourage people to be spiritual seekers come into sharp relief in the lives of artists. Many were reared by parents who moved frequently from town to town or from state to state. For other artists, their parents were often busy or traveled or were emotionally distant; some were abusive, many were divorced, and many expressed doubts about the teachings of religious organizations. Artists come from a surprisingly wide variety of socioeconomic backgrounds: they are by no means the children of a privileged upper middle class. The decision to become an artist is often a costly one; many artists leave home at an early age, do not finish college (or spend long years gaining advanced education), and struggle like David Ellsworth to find the time to pursue their artistic interests. Migrating from community to community and from one relationship to another is not uncommon. All but the most successful remain heavily dependent on the consumer market, playing gigs to entertain coffee drinkers or exhibiting their wares at flea markets and craft shows. In these respects, the buffeting many artists experience is similar to the unsettled lives that many Americans lead, only more intense. A close look at artists' spiritual practices serves the additional purpose of sorting through the current confusion about broad developments in American spirituality. The phrase "New Age" is a popular way of describing these developments. But its meaning is often ambiguous, ranging from any practice that falls outside the purview of conservative Christianity or Judaism, to beliefs in astrology, magic, or reincarnation. An artist such as David Ellsworth could be associated with New Age spirituality. He does not attend formal religious services, and he pieces together his views of spirituality from many sources. Another artist interviewed for this book believes herself to be a conduit for the teachings of angels and spirit guides. Several participate in Native American rituals, one is a wiccan, another believes in UFOs. But, despite the overlaps, artists' spirituality should not be dismissed as simply New Age. Their ideas and practices are quite diverse. If patterns can be found, they are best explained in terms of artists' religious upbringing, the crises they have faced, and the spiritual practices in which they engage, not in labels about some ill-defined spiritual movement. Contrary to the view that they are simply dabbling in shallow spiritual practices, many artists design spaces that permit them to work creatively and in a way that resembles meditation. Their best work emanates from trying to capture some partly understood mood or experience. Creativity requires drawing connections among aspects of artists' experience that have previously remained separate. Ideas about spiritual connectedness and spiritual wholeness acquire special meaning in these contexts. Indeed, one of the important contributions of artists in any period is creating narratives and images of wholeness in the face of undeniable brokenness. Contemporary artists follow a tradition of intellectual nonconformity that has strong roots in American history. Like previous generations of amateur philosophers and religious dissenters, they question the received wisdom of their time. David Ellsworth prides himself on having questioned the sturdy Victorian style of wood-turning that dominated the field when he began working in it. Having been trained in ceramics, he was able to bring fresh insights to his work. He continues to be an iconoclast, shattering people's expectations about his pots, shattering the pots themselves when they fail to inspire him. The nonconformity that artists express in their work frequently characterizes their spirituality as well. They are sometimes at the leading edge of creative developments in the world of religion: challenging ideas of male deities through feminist art, encouraging a rethinking of liturgical practices through performance art, or demonstrating new ideas about the relationship of body and spirit, connecting visualization to healing. In this way, artists keep alive the nonconformity that has been so important in the history of American religion. It is not assuming too much to suggest that artists are sometimes revered because they give others the opportunity to say, "Yes, I also question the established doctrines and I, too, think the mysteries of life are too great to be captured fully in any religious community." Yet the perfection of art always involves discipline, and the practice of art thus becomes a model for understanding spiritual discipline as well. David Ellsworth's years making salt and pepper sets are like the apprenticeships that monks and other people of deep spiritual inclinations undergo. As he gradually perfected his skills as a wood sculptor, he was shaping himself, gaining self-understanding, and learning to be at peace with himself. Many artists speak of their work as a form of meditation. For some, the sheer rhythm of the daily routine brings them closer to the essence of their being. Writing all morning or practicing for the next musical performance requires mental and emotional toughness. For others, art is so much an expression of who they are that its quality depends on introspection, prayer, reading, listening, or finding other ways to reflect about life. Many artists emphasize the importance of staying with a single routine in order to learn it well. For spiritual dabblers, the insight these artists provide is that persistence and hard work may still be the best way to attain spiritual growth. It is for all these reasons that many Americans are now turning to artists for spiritual guidance. Public opinion polls give little indication of this turning, suggesting that people find inspiration only in popular television preachers or the pope or that they hold their local clergy as exemplars of the spiritual life. Yet in personal interviews people speak more candidly. They mention Maya Angelou or Toni Morrison as writers who inspire them to think more deeply about spirituality. When their lives become difficult, they turn more often to the music of Aretha Franklin or Jessye Norman than they do to theologians. Their spirits are uplifted as much by the concert on Saturday night as by the sermon on Sunday morning. This is not to say that artists believe their approach to spirituality is better than other people's. Most artists, like most other Americans, are reluctant to impose their ideas about spirituality on others. They are for the most part private people who prefer to let their art speak for itself, rather than providing it with too much personal interpretation. Many are by training and personality disposed to think that spirituality should not be reduced too readily to doctrines or creeds. Many artists have nevertheless focused a great deal of their attention on the trials and failures of contemporary life. Those who work to capture the beauty of nature frequently decry the ways in which the environment is being damaged. Others express strong views about the value of families and social relationships--often because of relationships in their own lives that proved difficult. Most are keenly aware of the passage of time and voice concern about social problems that may endanger the future. As innovators, they pay attention to the ways in which new ideas, new technologies, and new circumstances are changing our lives. As practitioners of well-established traditions, they also value continuity with the past. As David Ellsworth says, "An artist of any salt will tell you that nothing is new, that it has all been done at some time by someone in some form prior to that." Artists reveal clearly that any practice, whether spiritual or artistic, requires a balance of dedication and creativity. The secret is internalizing the rules so well that it becomes possible to move beyond them. In their spirituality, as in their art, few artists stay strictly within the bounds of convention. They improvise, believing themselves to be capable--indeed, regarding themselves as having a mandate--to create. They are dedicated to challenging the rules, not in the interest of self-expression alone, but for the purpose of pushing out the frontiers of human possibility. The way their spirituality and their art come together holds the key to a broader understanding of the creative life. They are the visionaries who challenge received opinions, the disciplined seekers who reveal the way of the artist. [Note 1] David Ellsworth's art can be found in the permanent collections of the Philadelphia Art Museum, the High Museum of Art in Atlanta, the American Craft Museum in New York City, the Museum of Fine Arts in Boston, the National Museum of American Art in Washington, D.C., and the Musé des Arts Decoratif in Paris. He has been the recipient of numerous awards and honors, including having his work displayed at the White House and serving as president of the American Association of Woodturners. [Note 2] Myra Yellin Outwater, "A Turn for the Better: Wood Sculptor No Longer Going against the Grain," Morning Call (June 4, 1995); Rick Mastelli, "Pot Dancing," American Woodturner Magazine (March 1995), 6. See also Gussie Fauntleroy, "The Subject Is Wood," Santa Fe New Mexican (September 15, 1995); and Marian Burros, "Command Performance," House Beautiful (May 1994), 92-94. [Note 3] Drawing on publications and archival sources, the spirituality of some artists' and writers' work is examined in Roger Lipsey's An Art of Our Own: The Spiritual in Twentieth Century Art (Boston: Shambala, 1997); Art, Creativity, and the Sacred, edited by Diane Apostolos-Cappadona (New York: Continuum, 1995, rev. ed. ); and Alfred Kazin's God and the American Writer (New York: Knopf, 1997). [Note 4] On spiritual seeking, see my book After Heaven: Spirituality in America since the 1950s (Berkeley: University of California Press, 1998) and Wade Clark Roof's Spiritual Marketplace: Baby Boomers and the Remaking of American Religion (Princeton: Princeton University Press, 1999). 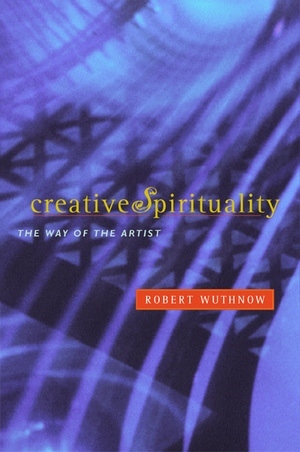 In a provocative book that explores the fascinating link between the creative and the sacred, Robert Wuthnow claims that artists have become the spiritual vanguard of our time. Drawing on in-depth interviews with painters, sculptors, writers, singers, dancers, and actors, Wuthnow includes the spiritual insights of accomplished artists who have gained prominence as Broadway performers, gospel singers, jazz musicians, poets, Native American painters, weavers, dancers, and installation artists. He profiles such national figures as novelist Madeleine L'Engle, playwright Tony Kushner, photographer Andres Serrano, sculptor Greg Wyatt, dancer Carla DeSola, and woodcarver David Ellsworth. Situating these artists' reflections in the context of wider cultural ferment, Wuthnow argues that spirituality is coming increasingly to focus on the inherently ineffable character of the sacred—what artists refer to as divine mystery. As growing numbers of Americans doubt the adequacy of religious creeds in defining the sacred, they are turning to artists who seek a more intuitive sense of the sacred through symbols and imagery. These artists provide rich insights into the social and cultural problems of our time. Many have been shaped by the growing ethnic, racial, and religious diversity of the United States. Many are at the cutting edge of new thinking about body, mind, and spirit, and many are seeking ways to integrate their understandings of spirituality with interests in nature and preserving the environment. For readers interested in exploring contemporary spirituality or engaged in spiritual pursuits of their own, this engaging, elegantly written, and erudite book will answer many questions about the changing moral and spiritual role of creativity and the arts. Robert Wuthnow is Professor of Sociology at Princeton University. His most recent books are Growing Up Religious (1999), After Heaven (California, 1998), and All in Sync (California 2003).